Just look at this gorgeous set!! The absolutely lovely people at Soak Yourself noticed on Twitter that I was a bit poorly and under the weather, and they kindly offered to send me one of their bath sets to cheer me up – how sweet of them! SOAK Yourself is a luxury British bathing brand launched in 2012. They have a philosophy based around the ancient ritual of bathing and its beneficial effects on the body, mind and soul, and their range comprises of seven bespoke bath ritual recipe kits to evoke any mood and dissolve all stresses, which is just what I need! They only use the highest quality ingredients, essential oils, absolutes, candles and soaps, and all ingredients are 100% natural, and organic as far as possible. Each individual box is handmade and hand-packed with care to ensure the highest quality, and you can really tell these guys are passionate about what they do. There’s been so much thought put into these kits, not only into the products themselves, but also the process of the ritual, and the finish of the set really makes it feel like a special experience. 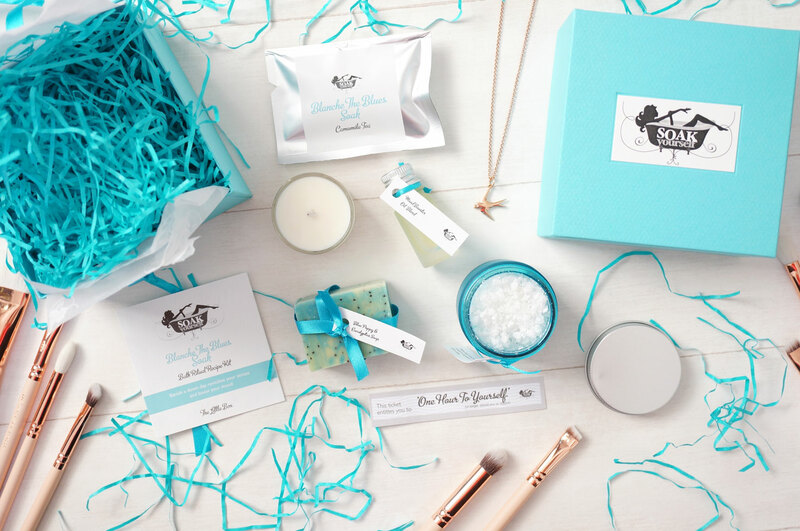 The box includes a jar of Healing & Foaming Bath Crystals, a Mood-Boosting Essential Oil Blend, a Camomile teabag, a Citrus Tonic mini scented candle and a Blue Poppy & Eucalyptus Soap. Oh and I can’t forget the ticket that entitles you to ‘One Hour To Yourself’ – this was such a lovely addition. 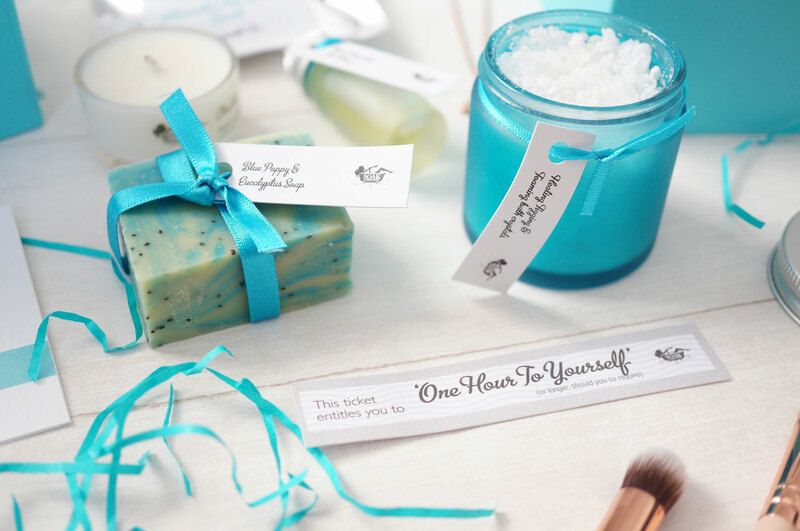 Everything is beautifully presented with information tags fixed to each product with silky blue ribbons, as well as a full set of instructions. They really have included all you need for a luxurious soak. The instructions advise that you run a bath and go make yourself a camomile tea while you’re waiting, then add the bath salts to the running water, along with ten drops of the essential oil. I then lit the candle and slid in the tub, and it was just sublime. The bathroom smelled amazing and I officially had the most relaxing soak of my life. I should point out that the instructions also give you a guide on how to relax, and they are fantastically written. I know it sounds corny, but this isn’t just a box of bath products, this is an experience, and it’s definitely worth trying. Seriously if you know someone in need of a pamper, or maybe a friend with a birthday coming up, I can’t recommend these sets enough. There’s also six other boxes available, including Broken Heart, Feeling Groovy and Love, so you’ll be sure to find a kit to suit what you’re looking for. The Bath Ritual Recipe Kits are £25 for a small box (which I have) or £60 for a large box. You can purchase them here – SOAK Yourself.